Sport Braces - Mississauga Chiropractor and Physiotherapy Clinic - FREE Consult! Sport braces are supports that you wear for a painful or injured joint. Some people use them to prevent joint injuries during sports. Braces are made from combinations of metal, foam, plastic, elastic material and straps. They come in many sizes, colors and designs. What kind of Sport Braces are there? Prophylactic (say: “pro-fa-lack-tick”) braces. These are designed to protect joints from injuries during contact sports like football. Functional braces. These give support to joints that have already been injured. Rehabilitative braces. These limit harmful joint movement while healing after an injury or surgery. Unloader/offloader braces. These are designed to provide relief to people who have arthritis in their joints. When are Sport Braces used? Different joint problems require different braces. Your doctor may suggest one kind of brace after surgery. Some doctors may choose another kind of brace for support instead of surgery for a torn ligament. You may also need a brace for pain in a joint that isn’t getting better with strengthening and flexibility exercises. Braces don’t seem to work well to stop injuries from happening. 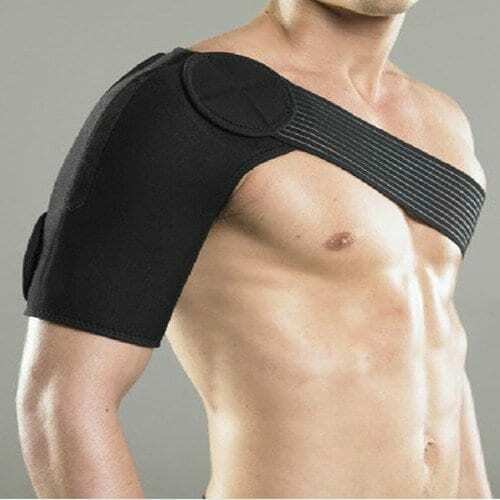 Get your doctor’s advice if you want to try a Sport Brace. What brands of Sport Braces do we offer? For a free consultation or for help sizing call our clinic today. Braces may be covered by your extended health insurance plan.